If you have been looking for informational texts for elementary students, the following free resource might help. 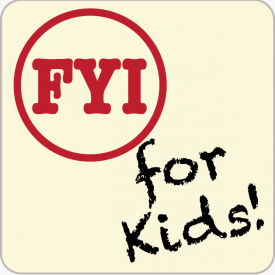 FYI for Kids is a collection of magazine articles to increases “students’ engagement and proficiency with complex text.” The digital collection features a menu for users to locate articles by grade and content area. The magazines can be found here. This entry was posted in Informational Text and tagged 1st, 2nd, 3rd, 4th, 5th, CCSS, Common Core, free, Hiebert, informational text, magazine, nonfiction. Bookmark the permalink.